European diplomat, Extraordinary and Plenipotentiary Ambassador of the Republic of Poland in the Arab Republic of Egypt, Doctor of Humanities (PhD). Michal Labenda was born on September 10, 1974 in Wroclaw (Poland). In 1993 he graduated with honors from the Lyceum of general education. Stefan Zheransky with an in-depth study of German in the city of Jelenia Gór, then a preparatory department of the Kazakh National University. Al-Farabi in Kazakh language for foreign citizens. September 1, 1994 Michal Labenda became a student of the Arabic department of the Faculty of Oriental Studies of the Kazakh National University. Al-Farabi in the direction of the Ministry of Education of the Republic of Kazakhstan under the Protocol on Cooperation between the Ministry of Education of Kazakhstan and the Ministry of National Education of Poland. In 1999, Michal Labenda graduated with honors from the Kazakh National University in the specialty "Oriental Studies" and was awarded the qualification "Orientalist-philologist, teacher of Arabic language and literature, translator-referent". Graduation work defended on the theme "Samples of translation of subject complex sentences from Arabic to Kazakh language" under the scientific guidance of the candidate of philological sciences Akbota Karibayevna Akhmetbekova. Michal Labenda also graduated from the University of Warsaw University of Oriental Studies (2006). After graduating from the Kazakh National University. Al-Farabi Michal Labenda is in the diplomatic service and goes through all the steps of his diplomatic career. In 1999-2002 - Attaché, Department of Asia, Australia and Latin America, Ministry of Foreign Affairs of Poland. Second Secretary of the Polish Embassy in Uzbekistan (Tashkent, 2002-2005), Second Secretary of the Polish Ministry of Foreign Affairs (2006), Second Secretary (August 2006-September 2007), First Secretary (2007) of the Transatlantic Diplomatic Division of the State Department of the Polish Embassy in the United States, in 2007- 2010 - Deputy Director of the Eastern Department of the Ministry of Foreign Affairs of Poland. From October 2010 to August 2014, Michal Labenda was Ambassador Extraordinary and Plenipotentiary of the Republic of Poland to Azerbaijan. Since August 2012, the Embassy of the Republic of Poland in Baku has also been accredited in Turkmenistan - instead of the Polish Embassy in Ashgabat, which ended its activities on July 31, 2012, on 29 January 2013, on behalf of President of Turkmenistan Gurbanguly Berdimuhamedova, Chairman of the Mejlis A. Nurberdyev accepted credentials from Ambassador Extraordinary and Plenipotentiary of the Republic of Poland to Turkmenistan Mr. Michal Labenda. From September 2014 to April 2015 - Advisor to the Advisor, Strategic Consultant of the Department of the Asia-Pacific region of the Polish Foreign Ministry. From 2015 to 2018, Michal Labenda is Ambassador Extraordinary and Plenipotentiary of the Republic of Poland to Mongolia. “I mastered the written Mongolian language so much that I can read and understand what is written,” the Ambassador confessed in an interview in January 2016. You can read about such fair reviews: “This unique person, a polyglot person, knows more than ten languages and is fluent in Kazakh. A European diplomat likes to quote Bukhar Zhyrau and rereads the verses of Shakarim and Abay by heart. ” “Only by learning the Kazakh language perfectly can I understand the essence and soul of this nation,” says Mikhal Labenda. Ambassador Labenda warmly recalls his friends from Kazakhstan and thanks his teacher in the Kazakh language, Aliya Abzhankyzy Kuryszhanova. In addition to Kazakh and native Polish, the Ambassador speaks Azerbaijani, English, Arabic, German, Russian, Uzbek, and French. “Why did I love the Kazakh language? First, for a rich vocabulary, for rare idioms. There are unique phrases, a lot of idioms, they are very interesting. Secondly, it is a very convenient language, since words have not lost their shape since the XV-XVI centuries. For example, today one can easily read the verses of Bukhar Zhyrau. A lot of literature with rich interpretations ”, - the Ambassador states. Orientalist and diplomat Michal Labenda admits that he is pleased to communicate in Europe in the Kazakh language, which helped him in learning Asian culture. He likes to talk with colleagues polyglots from different parts of the world in Kazakh, sometimes using rare literary words. It is not by chance that the list of his main publications begins with the book "The Kazakh language." He is also the author of the publications “Islam and Terrorism”, “Islam in Russia”, “Islam in Europe”, “Fergana Valley in Islamic Times” and “Daily Life in Samarkand” together with Abdurasul Niyazov. 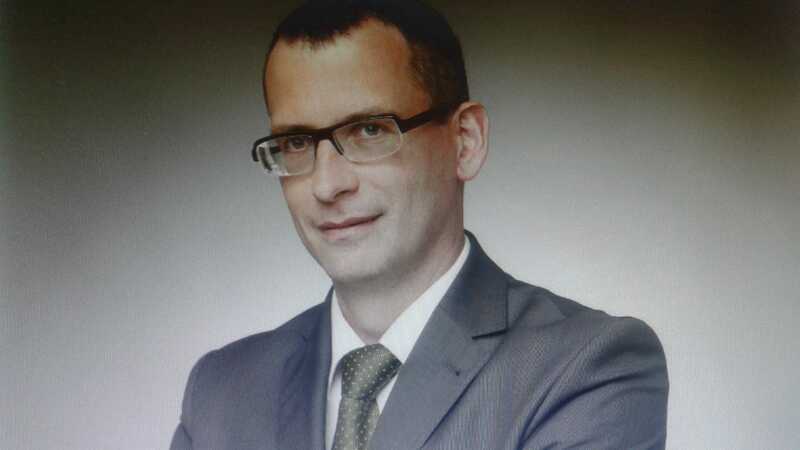 In October 2018, Michal Labenda was appointed Ambassador of Poland to the Arab Republic of Egypt, the Republic of Sudan and the State of Eritrea.